Green business is happy business. Doing business with your smart phone is becoming increasingly practical and efficient, which is why green business entrepreneurs love it. Check out our top five picks for how to make your business more sustainable, the easy way. Stop the junk mail with PaperKarma. PaperKarma is a free app that will tell mailers to stop sending unwanted mail to your home or business. Users take pictures of the mail and the team at PaperKarma will contact the sender on your behalf. You can save tons of time and tons of recycling by letting someone else do the work to get you off of mailing lists. PaperKarma was launched by Microsoft software developers in Seattle and have experienced massive growth since launching. Go paperless with Docusign. Docusign, led by newly anointed CEO Keith Krach, is an application that lets you and your clients sign legal documents digitally. No more need to print out multiple copies of contracts and bring them to meetings. 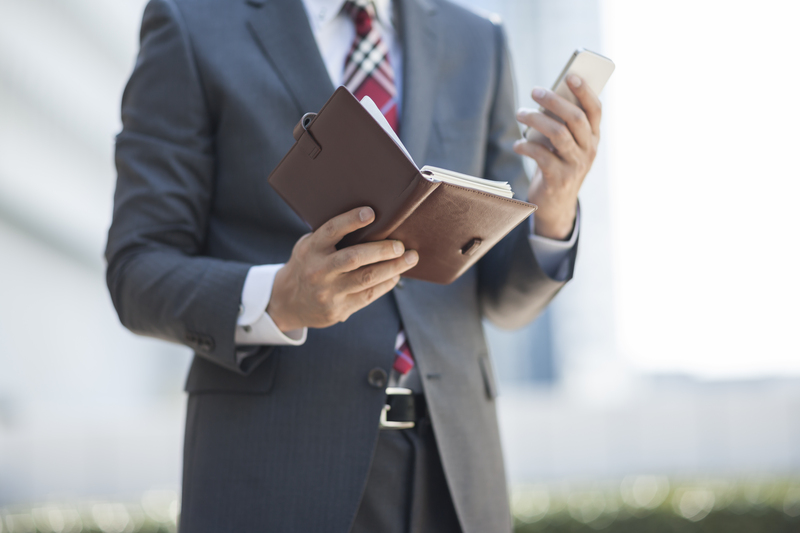 Now with Docusign’s new mobile app, people can sign your agreements right on your phone. It can also cut back on travel and shipping expenses for long distance agreements. Businesses can use smartphone apps to go green. Sort out your recycling with iRecycle. Have you ever spent time staring at the waste receptacles, wondering what goes where? Or perhaps you want to start a recycling program in your office, but you don’t know how. The iRecycle App by Earth 911 houses data about what can be recycled in your area. This is especially great for specialty businesses with recycling niches- restaurants can discover local wine cork recycling programs, or who to give their waste oil to, for example. Use less gas with greenMeter. This app will help you monitor your fuel efficiency and suggest driving style adjustments. With the gMeter program, greenMeter measures power and fuel usage, crude oil consumption rates and carbon emissions for your vehicle. The app claims it will pay for itself in less than two gallons of gas in fuel savings. It can also help you purchase carbon offsets for your business after it calculates your emissions. Buy better supplies with GoodGuide. GoodGuide is an evaluation of thousands of products for their social and environmental impact. Here you can filter products to match your values and quality standards that reflect the values of your business. The comprehensive new app can help you make smart choices about electronics, food, cleaners, vehicles and energy efficient lighting.